The 2011 Harley-Davidson® CVO™ Road Glide® Ultra is ready to take you down the road in touring comfort and Custom Vehicle Operations™ high-end style. Individually crafted and hand finished, high-impact paint and graphics come standard on this CVO touring custom motorcycle. 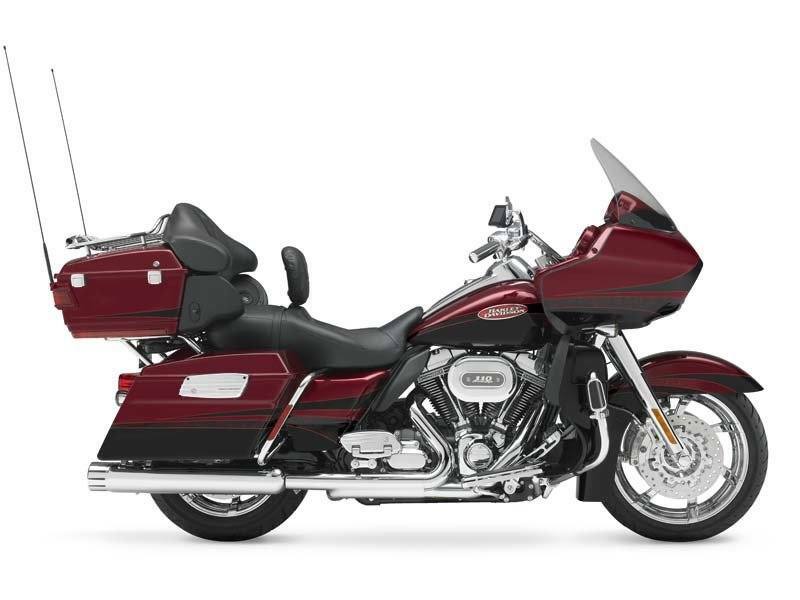 There are three custom CVO Road Glide Ultra paint schemes to choose from and plenty of matching paint on the Tour-Pak®, saddlebags, fenders and more. The 18 in. wheels add to the unique style of this CVO touring custom motorcycle. For your long-haul needs, the Custom Vehicle Operations Road Glide Ultra has saddlebags and a Tour-Pak, both giving you 2.26 cu. ft. of luggage capacity. 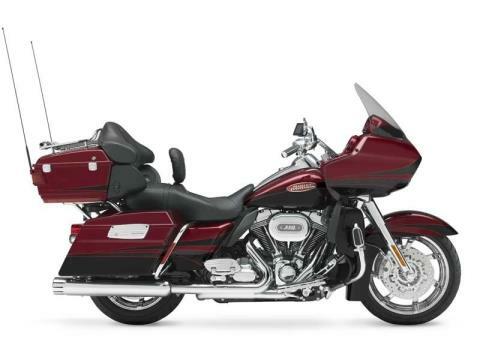 And on colder days, the heated hand grips and heated seats on the Harley Road Glide Ultra CVO will keep you warm.